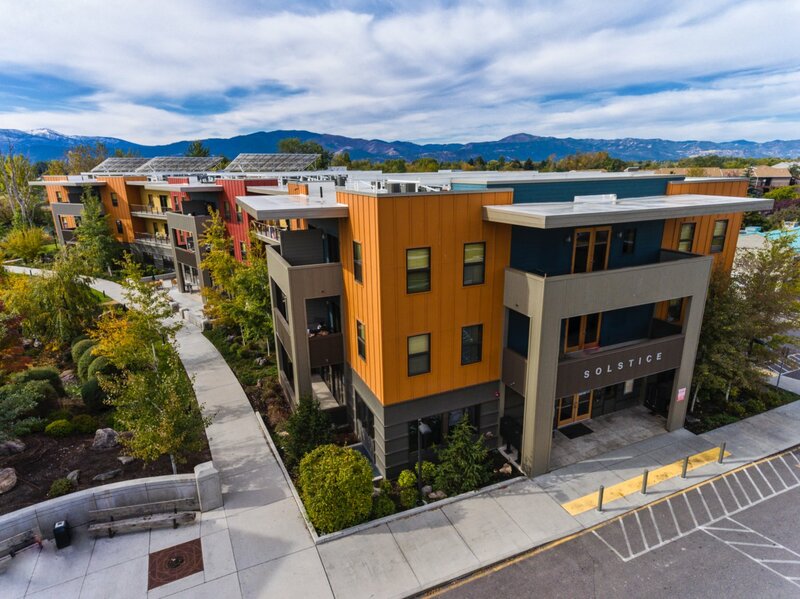 An award winning mixed-use project with 34 new apartments. A cutting-edge LEED Gold project. 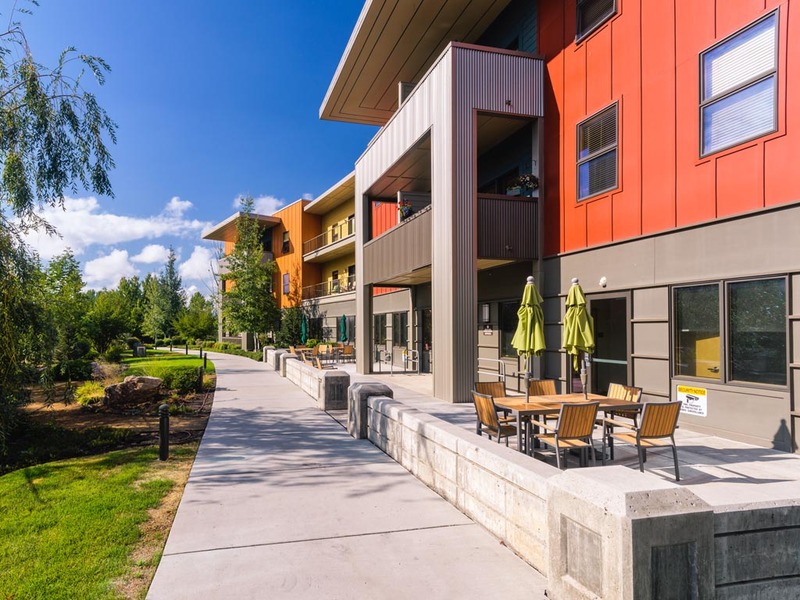 The sitework on this project included a one-acre sized underground parking lot, and the first certified gray-water recycling system in Montana. This project included a dry-creek bed with retaining walls, boulders, trees and shrubs. 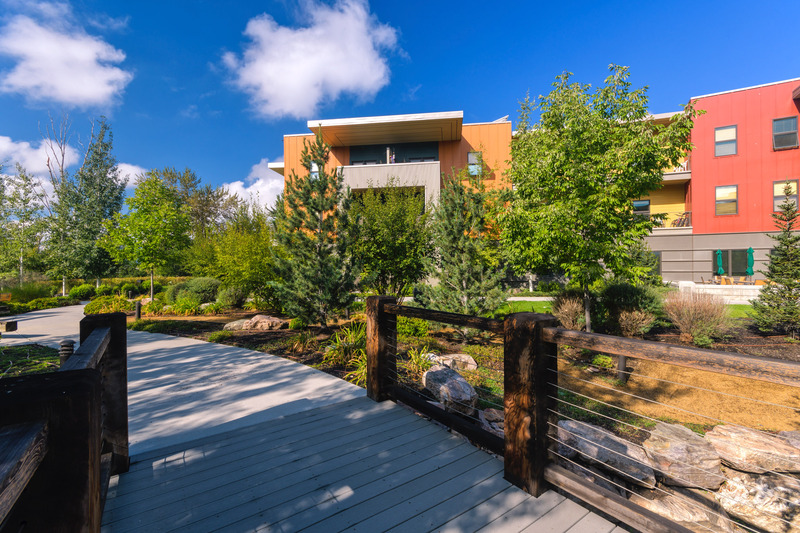 Sirius built a concrete, steel and wood composite bridge that extends over a dry-creek bed, connecting the Solstice-Confluence building with the Equinox building.